The Couch Side podcast reflects on 50 episodes of greatness in this week’s show. The Couch Side podcast concludes its All-Time NBA Fantasy Draft, wrapping up the star filled list of the top 50 players in professional basketball history. The All-Star panel of Brett Murdock, Craig Paul, Matthew Vinsko, Sean Schoonover and Stayson Isobe return to select their benches after picking starters almost three weeks ago. Couch Side editor Wade McMillin serves as the moderator of the draft and has three specials judges ready to rank the guest panel’s teams. To find out which NBA greats were selected in this round, you’ll have to listen to the podcast, but check back in to couchsideshow.com about one week from now for complete rosters and to see who won this heated basketball battle. Click below to start streaming, downloading or subscribing to the Couch Side podcast! The Couch Side podcast has special guests galore in this week’s episode as our biggest panel ever tackles an All-Time NBA Fantasy Draft. Join our special panel of Brett Murdock, Matt Vinsko, Craig Paul, Sean Schoonover, Stayson Isobe and moderator Wade McMillin for Couch Side’s official top 25 NBA players by starting lineups. Each guest picks a legendary player to fill their team in each positon — center, power forward, small forward, shooting guard and point guard — during five rounds of fantasy NBA action that doesn’t discriminate between current and legendary players. Also, be the judge for yourself by commenting on who has the best team at the bottom of this post. 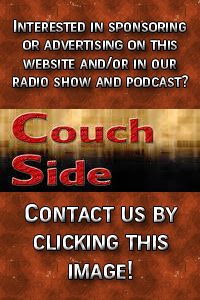 Click below to start streaming, downloading or subscribing to the Couch Side podcast! Couch Side hosts Craig Paul (left) and Wade McMillin were able to hit the links over the weekend before slaving over hot microphones Monday night. In this week’s episode, hosts Wade McMillin and Craig Paul take a deep look into the NBA as a whole, questioning if the league is better after the Dwight Howard trade. The gang also continues their official 2012 NFL Season Preview, breaking down the AFC West. 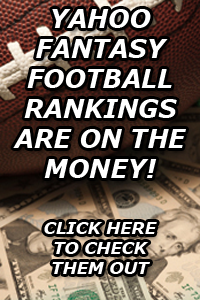 And in this week’s segment of the Head-to-Head Honchos, Craig and Wade discuss the importance of the running back position in Fantasy Football lineups. 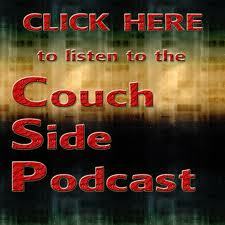 To start listening, downloading and/or subscribing to the Couch Side podcast click below. Also, if you live in the Big Horn Basin of Wyoming, don’t forget to tune in to 89.1 FM KNWT ever Wednesday at 4 p.m. or every Friday at 9 a.m. to listen to the show on the local airwaves.